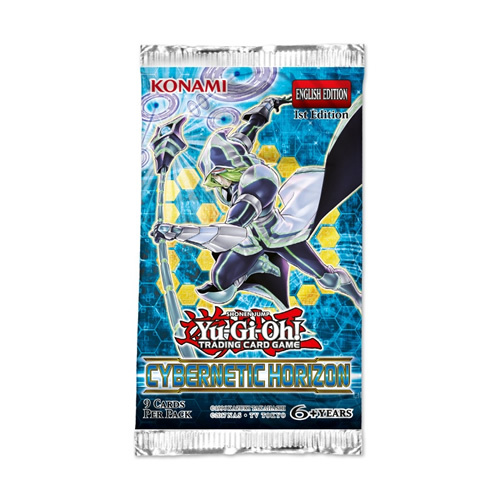 Past and present collide in Cybernetic Horizon, the first 100-card booster set of the 2018-2019 Dueling season! This set modernizes popular themes from the Yu-Gi-Oh! GX, 5D’s, and ZEXAL eras, provides brand-new Link Monsters, and new cards to bolster strategies introduced in, Code of the Duelist, Circuit Break, Extreme Force, Flames of Destruction, Dark Saviors, and more! Here’s just some of what you have to look forward to! You can also find new cards for strategies like Cyber Dragon, Dragunity, Mekk-Knight, Sky Striker, Elementsaber, Neo-Spacian, and more! • Features popular themes such as Dragunity, Mekk-Knight, Elementsaber and more. • Features re-prints of the famous Demise cards. • Features the popular Cyber Dragon theme. 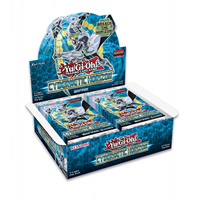 • 24 x Booster packs. Please note – due to fluctuations in exchange rate, all prices are subject to change.